We have several Indian comedians on our books. We have Indian comedians in Durban, Johannesburg and Cape Town. Having been involved with several Indian communities, raising funds for soccer clubs and other fundraisers. Our number 1 Indian comedian: Neville Pillay. 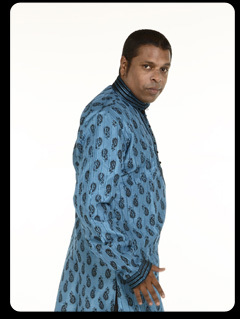 We are the exclusive agent for Neville Pillay. Neville is a celebrity movie star and radio DJ. Neville is also a brilliant comedian and master of ceremonies. We also have an amazing female Indian comedian: Krijay Govender. We also book One of SA's upcoming stars: Simmi Areff. Kevin perkins aka Michael Naicker. Another well known Indian comedian is Riaad Moosa. Riaad Moosa is a doctor, a movie star, a comedian and master of ceremonies.